A smile is one of your most eye-catching features. With dentistry’s many advances, you no longer have to settle for misshaped, chipped or stained teeth. Now you have choices that can help you smile with confidence. Even the smallest change in your smile can make a dramatic difference in the way you look and feel about yourself. Talk to a Door Creek Dental provider about the options most suitable for you. Tooth whitening (bleaching) brightens teeth that are discolored or stained. Here at Door Creek Dental we help patients whiten their smile either in one-visit to our office, or dispense a system for you to use at home. Bonding can improve the appearance of teeth that are broken, stained, cracked, chipped, or have spaces between them. With bonding, tooth-colored materials are applied to the tooth surface. Enamel shaping involves modifying teeth to improve their appearance. The process can be combined with bonding and is usually quick and comfortable, results can be seen immediately. Veneers are thin custom-made shells made to cover the front side of teeth. These shells are made of tooth-colored materials. Veneers are used to change the appearance on teeth that are chipped or worn, permanently stained, poorly shaped or slightly crooked. Orthodontic treatment is not just for kids. At Door Creek Dental we perform Invisalign orthodontics. This is a removable retainer that is worn for a period of time that helps straighten your teeth. Call Door Creek Dental to have a consult today. 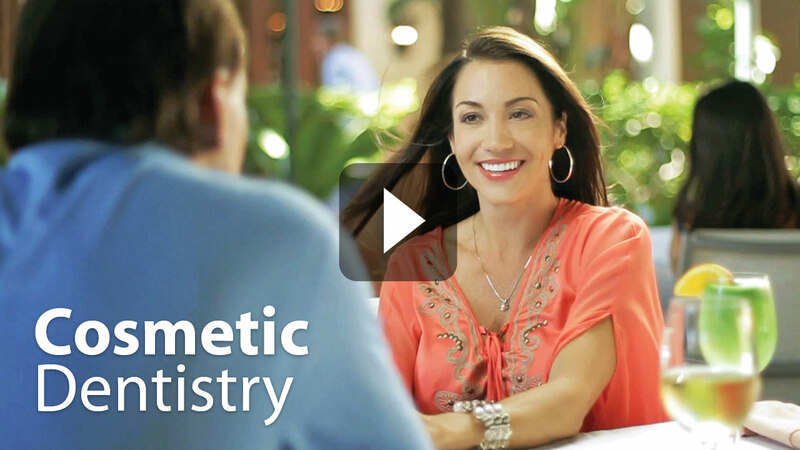 View the video below from the Academy of Cosmetic Dentistry about Cosmetic Dentistry treatment. Learn more about Cosmetic Dental Procedures by visiting this link to the American Academy of Cosmetic Dentistry.